How important is getting a good price for your customers? Very, I’d guess – they probably shop around amongst your competitors and may even negotiate with you for a better deal. But when it comes to you buying gas or electricity for your business, it’s a different story. It’s harder for you to shop around because energy suppliers don’t actually publish their prices for smaller businesses, and while price comparison websites can help you get a better gas and electricity deal for your home, they aren’t doing the same for your business. All energy providers will be made to publish their prices and/or provide online quotes for microbusinesses. You’ll be clear about who’s charging what so you can find a better deal and you’ll get help from price comparison websites. Would your customers be happy if you extended their contracts every year without giving them the flexibility to look around? Not at all. 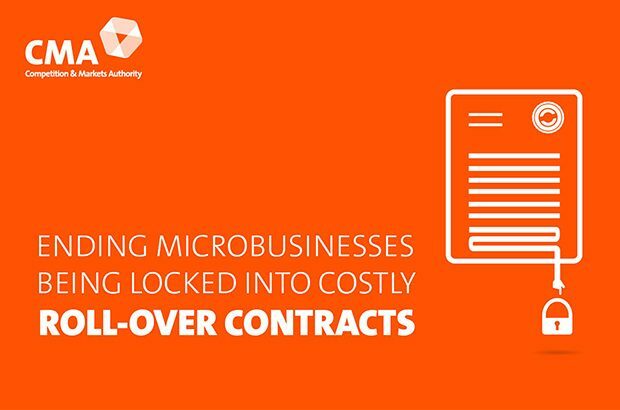 But that’s what happens to your business when your contract with your energy supplier makes it difficult and expensive for you to switch during the rollover period. You’ll be able to switch more freely because we’re extending the period for giving notice that you want to end your existing contract and banning contracts which contain termination fees and no-exit clauses for rollover periods. Probably not. But you won’t need to because energy suppliers will be able to send you better deals for your business by post (unless you don’t want them to). So if you’ve been on a default tariff for at least 3 years energy suppliers will be given access to a secure database with your energy use and tariff on to offer you deals tailored to your business. Is it easy for you to understand how much energy you’re using and what you’re paying for it from your bill? Not very, perhaps. But bills provide information that’s important for you to make better choices about your energy use and your supplier choice. Your bills will become easier to understand and more useful to you as the energy regulator conducts a programme of robust testing to help ensure that information is provided to you in a way which works better for you. Energy pricing will be more efficient as it will better reflect the cost of transporting energy from where it is generated to your business. The government will be clearer about how it makes decisions on energy generation and how much its decisions cost energy users and tax payers. The government and Ofgem, the industry regulator, will have more clearly-defined roles, and it’ll be clearer how their decisions affect the bills you pay. Do you use gas and electricity in your home as a domestic customer? Of course you do! So we’re also making it easier for you to find cheaper deals and to switch at home – you could also save yourself around £300 on your domestic bill if you are on the standard variable tariff: Modernising the energy markets – how users will benefit at home.